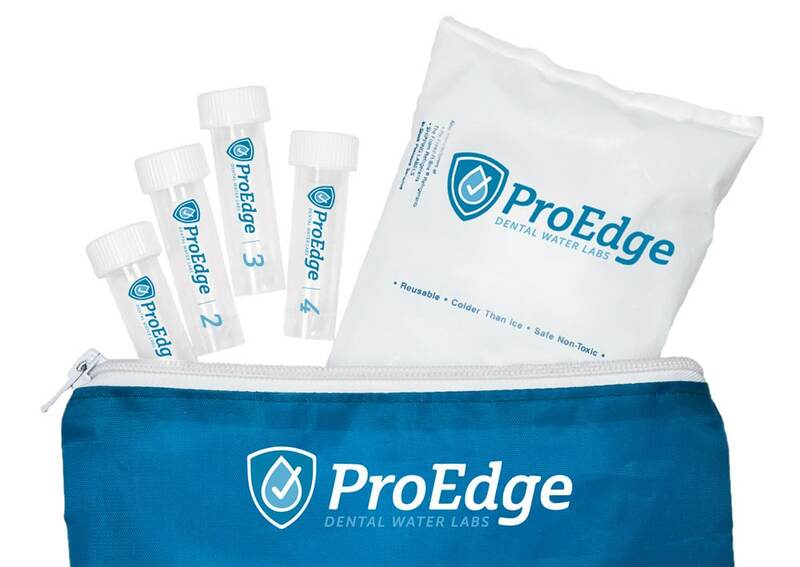 The ProEdge Dental Unit Waterline Testing Kit is the simple and reliable way to ensure your patients are safe. Complete: Everything you need for effective dental unit water-line testing. Easy to Use: Collect water samples from each dental unit in separate test vials and place in provided mailer. Samples are received and processed immediately. Free Return Shipping: On express kits, return shipping of your water samples is included and free. Accurate Results: A complete test results report is faxed/emailed to you after the samples are processed (7 Days). 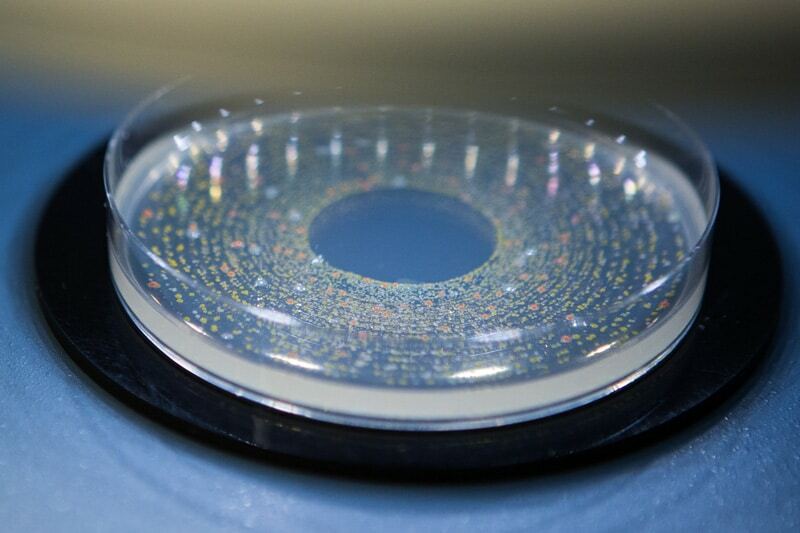 Tests are guaranteed to be accurate heterotrophic plate counts of your water samples. ▶Order one vial for every dental unit waterline requiring testing. Each water source requires a different sample. ▶▶Water samples must be submitted in the mailer pack with ice pack provided. ▶▶▶Overnight shipping is required for accurate test results – FedEx overnight return shipping is included with all standard kits. The majority of dental practices do not test their waterlines regularly like the ADA & CDC recommend. Another 1/3 of those who do test still fail to meet the 500 CFU/mL guideline. Why? Microbials don’t give up easily, and finding the right solution for each office can be tricky because some products simply don’t work very well. 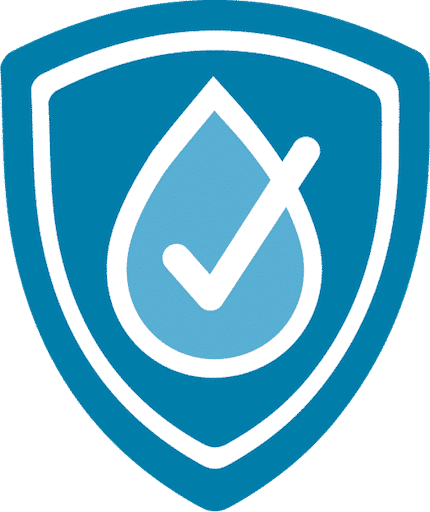 That’s too many patients exposed – which is why ProEdge tests not only provide you accurate results so you know where you stand, but our free consultations with water experts will help you find the right solution and achieve safe water if you do not pass your water test. The CDC recommends dental practices ensure the use of water that meets environmental protection agency regulatory standards for drinking water (≤500 colony forming units (CFU)/mL of heterotrophic water bacteria) for non-surgical dental treatment output water. Both the CDC & ADA recommend regular testing as the only way to know your water meets those requirements. ProEdge Dental Water Labs is the most experienced dental water lab in the industry. We know you’re counting on us to provide accurate results and we take that responsbility seriously. For over 15 years, we’ve been dedicated to matching the latest testing gold standards and relying on expert partnerships to produce the most reliable waterline test results in the industry. Review our testing and laboratory methods that have been developed in conjunction with experts in both water testing and dental infection control as well as OSAP (The Organization for Safety, Asepsis, and Prevention). Looking for step-by-step directions on your water test? You guys are awesome. I think you are playing a huge role in patient safety. Thank goodness I talked to you before we started using the water from our system on patients. I really do appreciate your fantastic customer service. In today's world, I feel that personal touch is often lacking and you have been nothing but very courteous and helpful. When I have someone call me with questions about their DUWLs, I often call ProEdge for answers or refer the office directly to ProEdge for help... Being able to rely on ProEdge's expertise has been very valuable.